Only 15% of GE employees were able to attend the renowned Crotonville Leadership Institute each year. 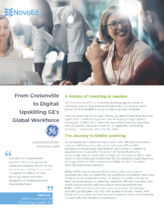 To globally reach 285,000+ employees, GE formalized their digital learning strategy and created a social, connected, digital classroom using the NovoEd platform. "NovoEd is an experiential platform. 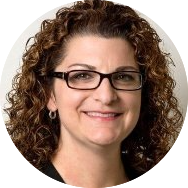 When bringing the classroom experience online, we wanted our employees to retain the ability to reflect on their learning, apply new skills, engage with colleagues, and receive feedback"